The FHA Streamline Refinance is an option for homeowners looking to lower the interest rate and monthly payments on their existing FHA mortgage. This lets borrowers refinance with a process that is streamlined to cut down on the time and effort spent. ​The FHA Streamline Refinance is an option for homeowners looking to lower the interest rate and monthly payments on their existing FHA mortgage. This lets borrowers refinance with a process that is “streamlined” to cut down on the time and effort spent. This opportunity is only available for those who are already financing their home with an FHA loan. 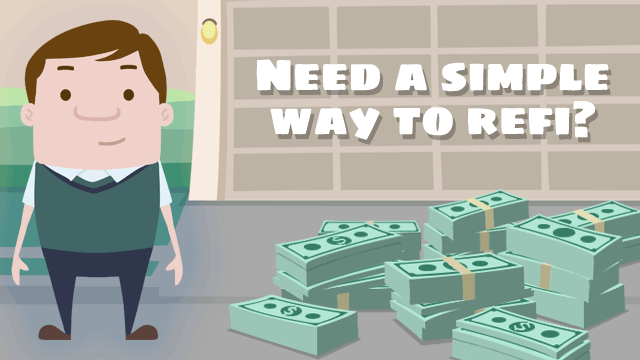 By making monthly payments on your current mortgage, you've already demonstrated your creditworthiness to lenders, and you don't need to calculate a debt-to-income ratio once again for the Streamline refi. There is no income verification, no need for an appraisal, and less paperwork, which makes it very attractive for borrowers who want a lower interest rate on their mortgage, without all the hassle. There are, however, some requirements for this type of refinance. You must be current on your monthly payments, and must have had your existing mortgage for at least 210 days. Late payments can count against you, but exceptions can be made in some cases. There must also be a Net Tangible Benefit; the FHA requires that the refinance results in a lower interest rate that offers the borrower a benefit of more than a set, minimum amount. The criteria for the Net Tangible Benefit varies according to the type of loan you currently have, what type of loan you’re refinancing to, and the length of the term current and new terms.